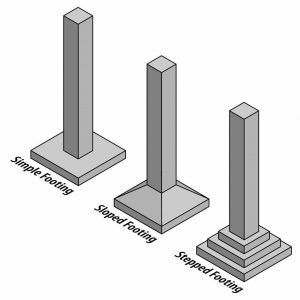 Different types of Footings in construction Where & When to Use? 10 Different Types of footings used in construction, where to use? and when to use? Foundation is an important part of the structure which transfers the load of the structure to the foundation soil. 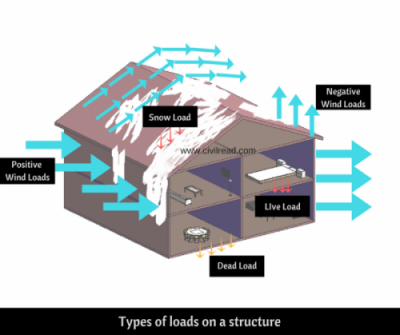 The foundation distributes the load over a large area. So that pressure on the soil does not exceed its allowable bearing capacity and restricts the settlement of the structure within the permissible limits. Foundation increases the stability of the structure. The settlement of the structure should be as uniform as possible and it should be within the tolerable limits. Why we provide Foundations or Footings? 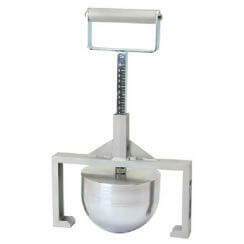 In simple words, Consider 1m3 of concrete weight i.e., 2400 Kgs to 2600 Kgs depending on mix. Think for a Two storeyed building how much concrete needed? How much quantity of bars needed? to construct a building. Foundation is to be strong enough to bear that all loads without any settlement, So for spreading the vertical load to large area footings are constructed. Depending on Soil bearing capacity of a particular location. Different Types of Footings are selected and constructed. If depth of the footing is equal to or greater than its width, it is called deep footing, otherwise it is called shallow footing. Footing is a part of foundation which is constructed with concrete or brickwork masonry and acts as a base to the floor columns and floor walls. The main function of footing is to transfer the vertical loads directly to the soil. 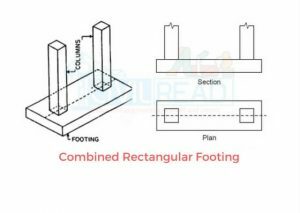 The term footing is used in conjunction with Shallow foundation commonly. Where We Provide Shallow foundation and Deep foundation? Foundations may be shallow or deep foundations depending upon the load and type of foundation soil. If the load to be supported is very high and soil is of low bearing capacity, Deep foundations are provided. If the soil has adequate bearing capacity at reasonable depth then shallow footings are provided. Spread foundations are used when the soil has sufficient strength within a short depth below the ground level. Shallow foundations need enough area to transfer the heavy loads to the base soil. As mentioned above, we chose shallow foundations when the soil has adequate Soil bearing capacity. Footings in Shallow foundations may be of Masonry, Plain concrete or reinforced concrete. The depth of shallow foundations are generally less than its width. Footings which are provided under each column independently are called as Isolated footings. They are usually square, rectangular or circular in section. Footing is laid on PCC. Before laying PCC, termite control liquid is sprayed on top face of PCC to restrict the termites to damage the footing. Isolated footings are provided where the soil bearing capacity is generally high and it comprises of a thick slab which may be flat or stepped or sloped. This type of footings are most economical when compared with the other kind of footings. Economical when columns are placed at longer distances. Workmen with little or no knowledge can easily construct. Ease of Constructability:- Excavation, Form-work, Reinforcement placement and placing of Concrete is at ease. These kind of footings are generally square or rectangular or circular in shape which are provided under each column independently. 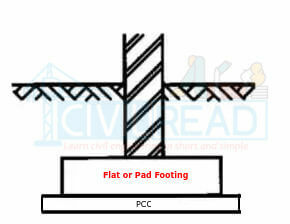 Flat or Pad Footing is one of the Shallow Foundations. It is circular, square or rectangular slab of uniform thickness. These types of footings are constructed in olden days now they are outdated. As from the name its resembling that, footings are stacked upon one another as steps. Three concrete cross sections are stacked upon each other and forms as a steps. This type of footings are also called as a Step foundation. Stepped footing is used generally in residential buildings. Sloped footings are trapezoidal footings. They are designed and constructed with great care to see that the top slope of 45 degree is maintained from all sides. 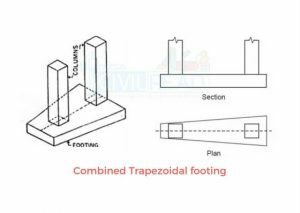 When compared the trapezoidal footing with the flat footing, the usage of concrete is less. Thus, it reduces the cost of footing in concrete as well as reinforcement. When the column loads are heavy or when the safe bearing capacity of soil is very low, The required footing area become very large. As mentioned this footing is in shallow foundation. So in order to spread the load over large area with less depth then we have to increase the footing area. 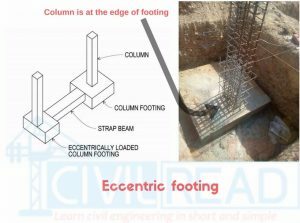 If we increase footing area the footings are overlapped each other, instead of providing each footing on each column all columns are placed in common footing. A raft foundation is a solid reinforced concrete slab covering entire area beneath the structure and supporting all the columns. Such foundation due to its own rigidity minimizes differential settlements. 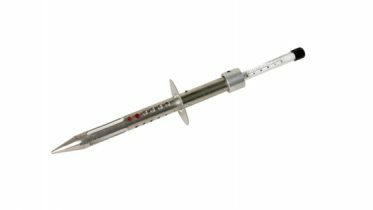 It is provided in a places like seashore area, coastal area area where the water table is very high and soil bearing capacity is very weak. 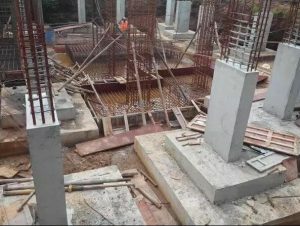 When number of column in more than one row, provided with a combined footing, the footing is called mat or raft foundation. If the bearing capacity of the soil is very good and the super structural load is very small.. The use of isolated foundation is recommended. When we provide elevator in the building a separate raft may be provided on the elevator shaft. When the soil contains lenses ( or weak zones ) that should be bridged then raft might be used. 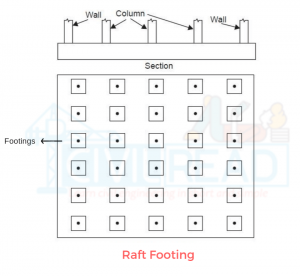 Raft footing does not have Neck column, they start directly From the ground surface but reinforcement of neck column starts from Raft. Strip foundation is also called as Wall footing. As name itself showcasing that, it is a strip type footing which follows the path of Superstructure Wall. 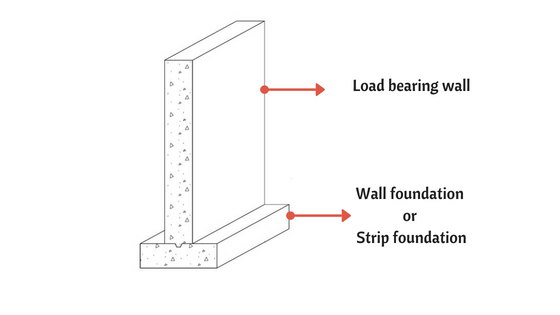 This type of footing is constructed for Load bearing walls. It is a continuous strip of concrete that serves to spread the weight of a load-bearing wall across an area of soil. 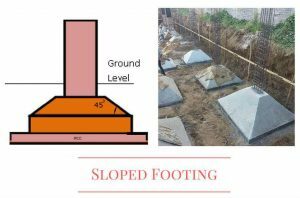 The strip footing foundation width is decided by considering bearing capacity of soil. 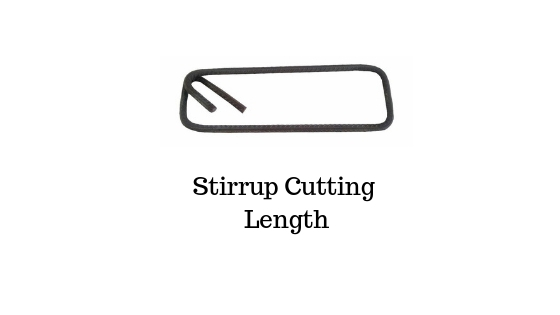 Greater the bearing capacity of soil lesser is the width of the Strip footing. It doesn’t require expensive tools to construct. Not required skilled labour to construct. If the depth of a foundation is greater than its width, the foundation laid is known as deep foundation. In deep foundation, the depth to width ratio is usually greater than 4 to 5. Deep foundations as compare to Shallow foundations distribute the load of the super structure vertically rather than laterally. Deep foundations are provided when the expected loads from superstructure cannot be supported on shallow foundations. A pile is a long vertical load transferring member made of timber, steel or concrete. In pile foundations, a number of piles are driven in the base of the structure. They are constructed where excessive settlement is to be eliminated and where the load is to be transferred through soft soil stratum, where the Soil bearing capacity is sufficient. These types of footings are provided when the Soil bearing capacity of soil is very weak and the Ground water table (level) is high. These types of the footings are generally designed on sea shore areas, bridges to construct pillars, etc. The main objective of providing piles under the footing is to prevent structure from settlement. If we don’t provide pile under the footing, then the building will have settlement. Piles are hammered in to the ground till hard strata (in compressible) layer of earth is found. Precast piles are casted at factory and transported to the site. This kind of piles are readymade and used where there is less place to cast pile. Precast piles are not economical and requires more money to transport piles to the site. 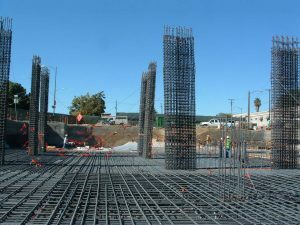 The Pre-cast concrete piles are usually reinforced or Pre-stressed concrete piles. These piles occupies more space for casting and storage, and takes more time to set and cure. The precast concrete piles are generally used for a maximum design load of about 800 kN except for large Pre-stressed piles. The length of precast concrete piles varies from 4. 5 m to 30m. 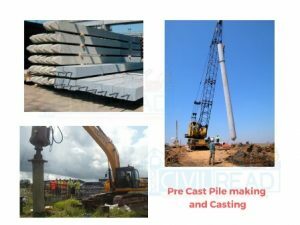 The Pre-stressed concrete piles as compared to Pre-cast and reinforced concrete piles are lesser in weight & easy to handle having high load carrying capacity and are extremely durable. Reinforcement provided in Precast piles are not liable to change it place and disturbed. The cost of Precast piles manufacturing is less because large number of precast piles are manufactured at a time. The defects in pile can be easily identified after the removal of formwork, and these defects (such as presence of cavity or hole) can be repaired before driving the pile in site. These pile are heavy so it requires special equipment to carry and transport the pile to site. Sufficient care must be taken at the time of transportation, otherwise piles may break. For embedding these piles in field, heavy pile driving equipment is required. These piles are costly as extra reinforcement is required to bear handling and driving stresses. Post insertion of pile in ground it is not possible to increase the depth of pile. As the length of the pile is restricted. The piles which are casted on site. And don’t require any transportation is called cast-in-situ piles. 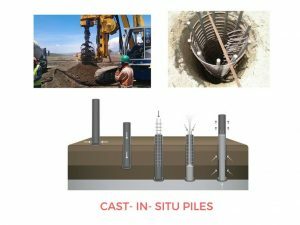 The cast-In-situ concrete piles are casted in position inside the ground and need not to be reinforced in ordinary cases. These piles are not subjected to handling or driving stresses. The cast- in-situ concrete piles are generally used for a maximum design load of 750 kN. Never Miss an update Click on “Allow us” or Red notification bell at bottom right corner and allow notification. Stay tuned! More are updated Soon!!. Civil Read Wishes you ALL the BEST..
please update a whatssapp number. Tysm for sharing this blog ? Thanks a lot for this important article about different types of foundations, it helped me to clear my doubt about this topic. thats great i solved your query. Thanks for ur comments rahul. my whatsaap no is 8697068341. i have a project on mounded bullet design for that i want to design the footing but i am not able to decide which footing is suitable. service load is 74538.601 KN and area is (75m*54m). so please add me in your whatsaap group and please help me. I am Rasheed, living Chennai. I constructed home (Ground Floor + First Floor) by giving on contract when there is no building surrounding it. Now the neighboring land owner complained that the footing of the column is lying in their plot though the building is well within our admitted area. Now they want to cut the footing of our column as they are going to construct house. Will it have impact on the building? or is there any other solution without cutting the footing? Please give your valuable suggestions in this regard. Its awesome platform to learn about civil engineering. I am working as asst.prof, i told my students to follow this webpage. can you add me into your whats app group..? hello, if i were to design a mid rise hospital building (4-5 storeys) on a soil with low bearing capacity, what type of foundation is the best to use? I am Geotechnical Engineer. This is nice platform to share knowledge. Sir, How i connect with u? Hi Krishna, this is Prakash am having a site to discuss with u, can u plz share ur no, thq u in advance. It is really awesome , it is conceptual , it makes me to know lot related to foundation , and the way to explain is an also excellent.